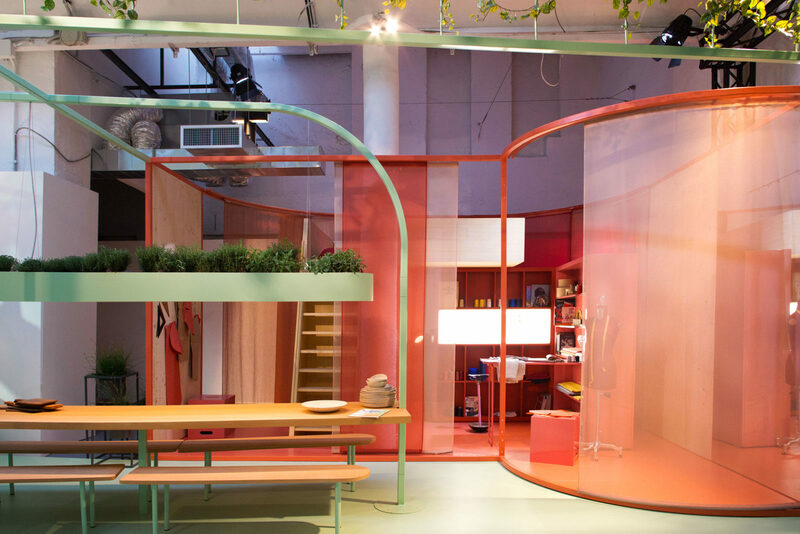 (EN) Daring, colorful, and socially relevant, “Built by All”, which was presented at Milan’s Salone del Mobile this year, is the latest of three chapters initiated by MINI LIVING. Developed in collaboration with London-based design firm Studiomama, it highlights the principle of participation, introducing the idea of a “self-contained micro-neighborhood” that has the potential to reshape the future of urban living. (EN) “By opening up the design process and challenging the conventional status quo ‘architect vs client’, we wanted to allow people to configure the space they live in according to their needs and lifestyles,” says Oke Hauser, Creative Lead of MINI LIVING. Launched in 2016, the ongoing initiative of MINI explores new living solutions to the architectural challenges that our cities face today: As trends veer towards urbanization and the rise of megacities, young people flock to urban areas, and gentrification increases real-estate prices, the issues relating to compact living spaces and environmental pressure are of growing importance. “There is a big shift in the way we live. Instead of thinking of cities getting more desirable and expensive as a problem, we can—and should—focus on the positive side and see this as an opportunity to design new forms of sustainable, collaborative, and flexible urban living. With the right ideas, this is going to be a more fun way of living,” Studiomama co-founder Nina Tolstrup tells us. (EN) The modular living concept responds to the demands of its inhabitants. (EN) By making use of an abandoned industrial building in Milan’s Tortona design district, “Built by All” is a mesmerizing immersive installation showcasing four 15 to 20 squaremeter modular units linked to a public area that encompasses a communal kitchen, an amphitheater-style atrium, a garden, and an outdoor gym. With different shapes, colors, and materials to fit the personalities of four residents, the future-living units are made up of a functional freestanding structure reflecting “the interior of a caravan or boat to pack a lot into the smallest space” and a sliding external shell. The cabin-like space feels cozy and allows inhabitants to enjoy their privacy while they’re always left with the option of opening it up to the public. While the pioneering concept was conceived for young urbanites, it equally appeals to elders who may wish to live amongst other generations. “With the way you can set it up, it works for all life stages: families could replace the gym with a playground and the elderly—hungry for life and sharing—would be able to feel part of the community,” states Tolstrup who has a passionate belief in democratic, good design for all. 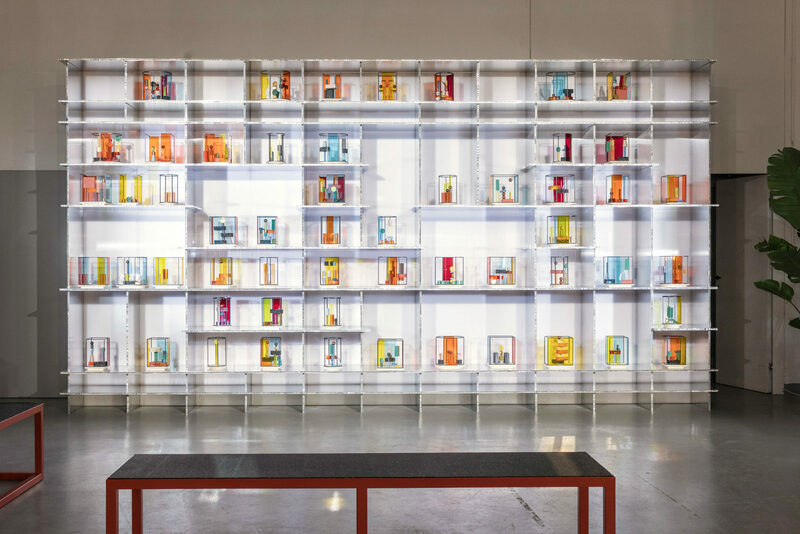 (EN) Stay tuned: Following this year’s showcase of “Built by All” and the past installation of “Breathe”, the projects’ realization will soon take place. From April 2019, Shanghai will be home to the first inhabitable MINI Co-Living Space situated on 8,000 square meters. For more information, visit MINI LIVING online. While “Built by All” is the first collaboration of MINI LIVING with London-based design firm Studiomama, Freunde von Freunden and MINI LIVING have collaborated on various projects for a period of time, including our portrait with Creative Lead Oke Hauser, to implement visionary ideas on urban living and highlight the initiative’s cooperation with international architects and designers.